Tera Bear Consulting actively supports web IT integrations with the above technology platforms and vendors, along with many others. We can customize and integrate your key web technologies to your specifications, from the simple to the complex. We will ensure it works great on all mobile and web platforms. Tying together Social Media, Web Security, Ecommerce, Content Management Systems, Membership Systems, APIs, Video, Multimedia, custom applications, and tastefully integrating popular web information technology services together is our expertise. Some of our current and past projects are here for your perusal. Please call 303-818-5187 to discuss your Web IT needs today! 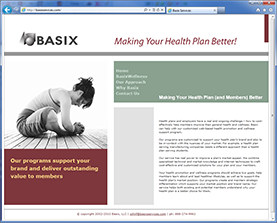 BasixWellness is a comprehensive, employer-supported, branded, wellness program provided by Basix, LLC. It is a benefit provided to employees by their employers. Tera Bear Consulting provided consultation, application development services, and project management for a complete rebuild from the ground up of this comprehensive, dynamic, multimedia-rich, data-driven, health and wellness website. Features include account management, multi-tiered administrative reporting derived from user input, a graphical food database, BMI calculations, and audio and video content management. Ongoing support involves general SEO web development, server hosting, email hosting, and database maintenance. 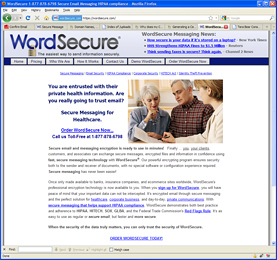 Word Secure is Software as a Service (SaaS) which provides secure messaging systems to organizations and individuals to demonstrate HIPAA and HITECH compliance, and send data and file attachments securely without the need for email client plugins or in-house IT support. Tera Bear Consulting managed the development of this system, from concept to completion. 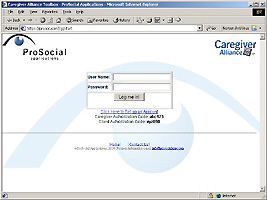 Word Secure allows users to exchange secure messages to approved recipients over an encrypted SSL/TLS web connection. We also managed the keyword research, article writing, and SEO campaigns for WordSecure.com which, as of this writing we are proud to say was #2 on Google and in the top 5 for the competitive keyword term secure messaging on Bing, Yahoo and most other organic search engine results. Tera Bear also manages the online credit card processing and ecommerce. 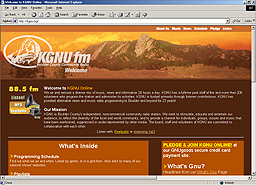 We collaborated with KGNU Community Radio in Boulder in 2000 to provide a custom, database-driven, fast, simple, and secure means of distributing audio to public radio stations across the western United States via a secure, password protected, web content management system. 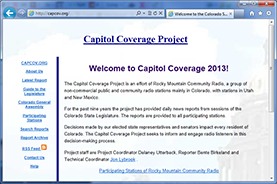 Recorded and uploaded from the Colorado State Capitol in Denver, these brief audio reports are immediately made available for high-quality broadcast over public radio airwaves most days across Colorado when the state legislature is in session. 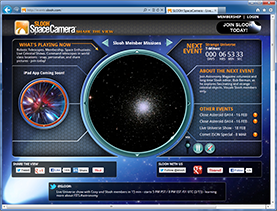 SLOOH is an astronomy enthusiast website that has access to space observatories around the world. Tera Bear Consulting worked with the staff at SLOOH to consult with them, and build and configure their first Icecast server. The audio server allows telescope operators to give live tours of the constellations and planets in real-time, as they are being directed and viewed by SLOOH members. DocRepository is a encrypted, flexible, document repository program written in PHP which allows the owner to instantly create different types of file repositories to upload and distribute files to selected groups of users. Files in each repository may be freely accessible and unprotected, protected by requiring a password, and/or protected by requiring the user to provide contact information prior to gaining access. Features also include streaming and downloading of audio and video files within a repository. Our superb PHP web development team allowed for the application to be designed and implemented to the client specifications quickly, and under-budget. 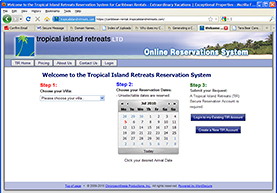 In addition to managing their villa websites through custom CMS software and managed WordPress hosting, Tera Bear Consulting created the online reservation system for Tropical Island Retreats, allowing their customers and agents to book reservations, and communicate with the management team securely from initial point of contact through post-stay, followup correspondences. Other features of the system include an elegant user interface design providing the ability to update information about each villa across multiple websites, secure reservation booking and approval, secure messaging, guest contact management, and an option for secure payment processing. We worked with KGNU Community Radio in Boulder to procure, install, configure and support their first streaming MP3 and audio archiving servers. We also collaborated with them and supporting streaming technology businesses to facilitate one of the very first live concert webcasts from the historic Boulder Theater in 2000. The concert webcast included live interviews with Tony Levin (bass player to Peter Gabriel) and members of California Guitar Trio after the show and was viewed live by a world-wide internet audience of several hundred people. Pro Artist Websites offers easy-to-use website building and management tools for musicians, businesses, families, and just about anyone who has text, images, audio and/or video to deliver via the web. This comprehensive web-based content management system (CMS Software) was developed by Tera Bear Consulting to provide an easy, affordable way to distribute content over the internet and includes an integrated contact management database and events calendar. We also offer expert managed WordPress hosting for those who need something more diverse and sophisticated. 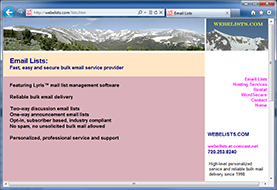 WEBELISTS.COM is a long-standing email list hosting service pioneer that provides web-based list application hosting and support to customers throughout the world. Since 1998 their commitment to quality and service is second-to-none. Tera Bear Consulting provides managed, dedicated server hosting, co-location, Linux system administration, backups and system monitoring for their proprietary list-management server. 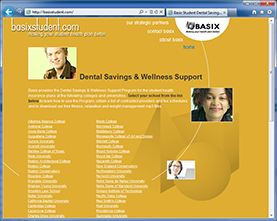 BasixStudent.com is one of the many value-added websites offered by Basix, LLC. 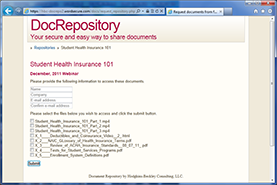 BasixStudent.com provides vendor-sponsored health product and service discounts to students as an incentive to participate in insurance plans offered by their school. In addition to providing Basix with virtual dedicated server hosting for their web hosting needs, Tera Bear Consulting also provides custom web application development services for their wellness program software. 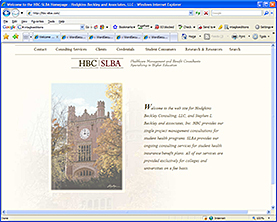 Founded in 1991, HBC-SLBA, LLC is the nation's leading consulting firm for healthcare management and benefit consulting for student health programs. Boasting one of the first business websites in Colorado, HBC-SLBA has used Tera Bear Consulting for software project management, website development and technical support of their websites. HBC has also relied upon us for the continuing development and maintenance of their various database-backed applications, such as healthcare surveys through highered-survey.com, and their custom-built document repository program. Until they were bought by Staples in 2005, Corporate Express was one of the world's leading office supply businesses. Tera Bear Consulting was asked to put our ecommerce website development skills to task and create a lightweight, easy to administrate ecommerce application allowing Corporate Express warehouses worldwide to post images, prices and descriptions of products in order to sell excess inventory to preferred customers. Separate secure websites were created for each of the 23 warehouses. Other requirements included featured vendor designations, discount calculations, multiple category assignments, and an intuitive user interface design. 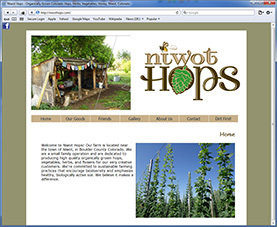 Niwot Hops provides organically grown hops, herbs, and raw, unfiltered Colorado honey. We have provided website hosting and Google Search Optimization consultation to them since their farm began. Niwot Hops provides choice organic hops to well-known brewers throughout Colorado including Avery Brewing Company, Oskar Blues, and smaller, hand-crafted brewers. Niwot Hops also provides organic herbs and vegetables to gourmet restaurants along Colorado's Front Range. We are working with Niwot Hops and continuing to serve them as they grow into requiring larger web-based services, including possibly a B2B Portal and Ecommerce Website Development to better serve their customers. 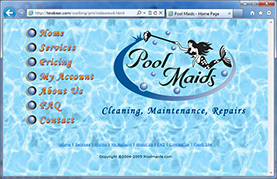 PoolMaids was an early adopter of web-based, mobile service management technology. PoolMaids contracted with Tera Bear Consulting to build web and mobile device interfaces to a web database system allowing customers to request service, change appointments, pay bills and communicate securely with administrative staff. Service personnel are in turn able to check on appointments, program and adjust their routes, check customer records, and report on customer service activities through this GPS-friendly, B2B portal. Though no longer online, this was one of the more interesting systems we built in the early days involving mobile website development. 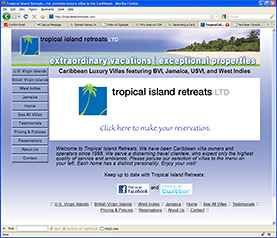 Tropical Island Retreats Ltd offers luxury Caribbean villas throughout the British Virgin Island, U.S. Virgin Islands, Jamaica, and Virgin Gorda. Tera Bear Consulting created a custom, web content management system allowing the owners to update key information and photos across seven distinct and interrelated websites. Tera Bear Consulting also manages the server and Search Engine Optimization (SEO) for the corporate site including article writing and blog management for this series of sites featuring the company's seven resort villas located throughout the Caribbean. 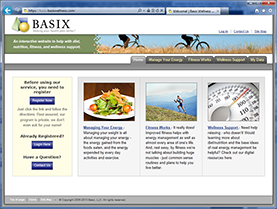 Basix Services offers customizable, web-based health promotion services through various channel websites to its client-companies, including value-added discounts and benefits for selected university-based healthcare groups through basixstudent.com, custom health and wellness management for members through basixwellness.com, as well as insurance benefit consulting. Tera Bear Consulting provides application hosting, Google Search Optimization, FreeBSD Unix server hosting, email and system administration, website stats reporting, and technical support services to Basix, LLC. 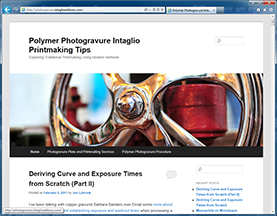 Intaglio Editions is a specialized, photogravure, fine art printmaking services bureau. WordPress is easy to get running, but certainly not without its challenges as anyone who's worked with it will tell you. Let us help you to keep it working 24/7/365 with our retainer-based WordPress management and hosting services. We can also help you integrate your custom video content with your WordPress site using cross-platform integration software, like Vimeo, Wistia, and YouTube. 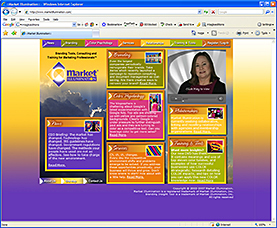 Market Illumination worked with Tera Bear Consulting to build its membership-driven, web-based assessment tools with a focus on providing training and consulting in the highly specialized area of marketing through the use of color psychology. We provided custom web application development, hosting and support to design and build their secure, web-based application, ecommerce, online surveys, and membership systems. 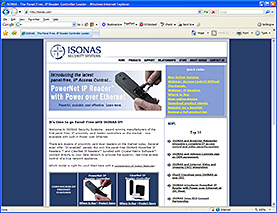 ISONAS Security Systems is a pioneer in the field of physical access control and security. Tera Bear Consulting developed a secure, B2B portal (Business-to-Business) allowing for secure access to content management for staff and training, promotion updates, competitive intelligence, and vital communications between Isonas and their partnering reseller companies worldwide. We also provided site web design, intranet support, image map utilities, web forms, third-party tools installations and configuration, software project management and support for various, in-house applications. 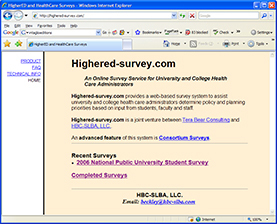 Highered-survey.com provides a flexible, secure, web-based survey application written in Perl to assist university and college health care administrators determine policy and planning priorities based on input from students, parents, faculty and staff. Complex cross-referencing of data based on questions and demographics among multiple schools makes this application unparalleled in its versatility and usefulness to universities and other institutions. We provide ongoing development, hosting and support to this project originally developed by AES Consulting and Stephen L. Beckley and Associates, Inc. Leading the development and implementation of the Prosocial Applications Caregiver Alliance Toolbox, Tera Bear Consulting helped to design the database and user interface with this HIPAA compliant, web-based information system and health portal used by individuals, doctors and family caregivers to manage vital healthcare records, provide audit trails based on data accessed and entered, grant selective 24/7 access to health and human service providers, and achieve accountable, high quality care. This secure, database-backed, fully scalable web application provided cutting-edge healthcare management and accountability. 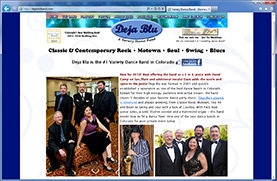 Deja Blu has been relying on Tera Bear Consulting since their site's debut in 2001 for expert SEO consulting, web site development, Linux support, site maintenance, and web design work. We worked closely with band manager Liz Vallez to consult about link building and on-page search engine optimization. On-page google search optimization is always the first step toward increasing authority and building a website with a competitive advantage as Deja Blu's excellent visitbility on the web will attest. HorizonOrganicBaby.com was the flagship website for Horizon Organic's Infant Formulas until the product was discontinued in 2005. Tera Bear Consulting developed this multi-tiered, dynamic website from the company designer's requirements, combining server-side browser detection, Dynamic HTML and Cascading Style Sheets to provide a seamless, cross-platform experience under Safari, FireFox and Internet Explorer. We develop all of our web sites and systems to ensure compatibility with these three browsers, but are also able to provide mobile web development compatibility for the iPhone, iPad, Android, and other platforms as well. © 2000-2017. Chronosynthesis Productions, Inc. All Rights Reserved.